Support internet connection simplify direct monitoring of the server in order to maximizing performance of these devices. 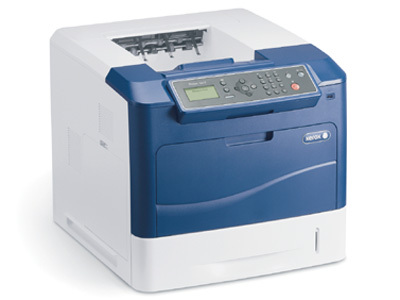 Xerox Phaser 4620DN comes for small, medium, to large class office that require printer with robust performance and large capacity. Phaser 4620DN has great physical shape and weight so impressing its tough. The process device configuration is a little different from regular printers. 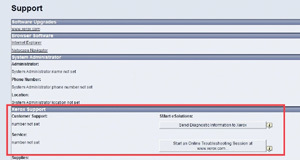 Before installing drivers and software using default CD, you must set the configuration of the device, especially LAN connection and the IP address of this device. Once connected to the network, then the driver installation can proceed smoothly. As a network printer, available for admin complex settings. Uniquely, it can use the network printer Internet connection. This meant that the printer can be connected to the server Xerox. In this connection, the printer monitored from there. Xerox then be able to provide an online solution if the device is problematic. Printing capabilities unquestioning. In terms of speed, this printer’s performance above average. When printing five pages of text documents, it only takes 8 seconds. This has included the first 5 seconds to set up the system (warming up) until the printer prints the first sheet. Similarly, when the printer is printing PDF documents and image-based PDF A4. All done in less than 20 seconds (see table). For large-volume printing needs, by default provided 2 tray. If still not, you can add its own tray. This sort of tray sold separately. Because it is intended to print a large quantity, you must enter the amount of paper in the tray at once. If not, the sensor tray sometimes stated that the paper tray is not filled. The admin and IT departments would have liked this Xerox Phaser 4620 due to the performance, the network settings are complete, as well as online solutions it offers. With the network and internet connections, Xerox can easily make a diagnosis when the printer having problems. If you have not set the printer manually through the configuration, installation via computer will not show the condition when the printer is connected. Phaser 4620DN are recommended to always connect to the Internet directly. This is intended to the Smart eSolutions feature can provide a precise diagnosis when printer problems. The numeric keypad is available to perform the configuration manually, rather than to running facsimile function. Plus: Configuration completed and high performance; optional tray is available with large capacity, there is an online solution; wide OS support. Minus: The sensor detects the paper tray is often mistaken; installation process requires a connection to the network first.